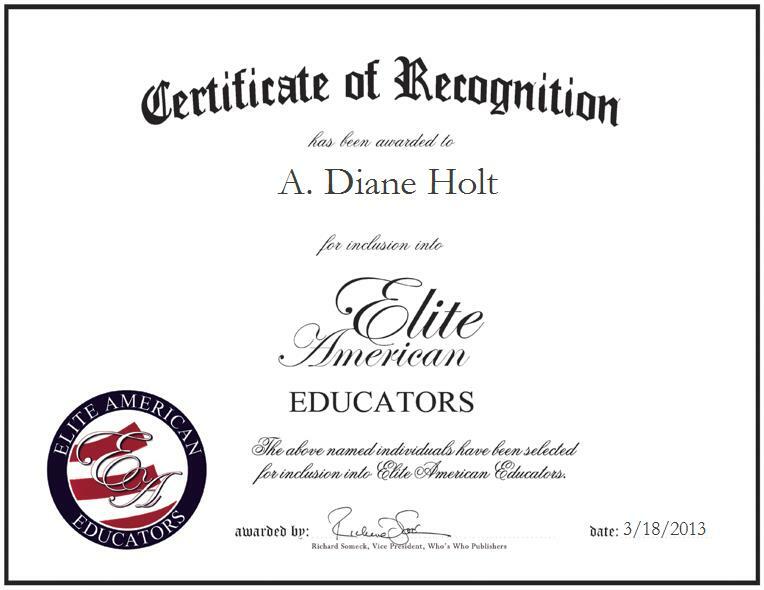 A. Diane Holt is a teacher for Waterloo Community Schools, where she makes the most of her expertise in individualized instruction. In her capacity, she is in charge of evaluating students, preparing reports on students’ progress, and monitoring, mentoring, and advising the students. She instructs on all subject areas based on student needs, and coordinating identity management projects, as well. Ms. Holt developed numerous educational curriculum units, and authored two books. One is ‘Timeless Treasures: Bible Outline’ in prose and verse, and the other is ‘HELPS: Holding an Ever Lasting Partner Scripturally’, which is currently being revised to become an e-book. Ms. Holt became involved in her profession because of her desire to help children have the best education possible and the best opportunities to live fulfilling and successful lives.